We are skillful and have excellent experience on the golf clubs manufacture .Our company is located in XiamenTongAn DaLunShan Industry Area and occupies more than7000sqm. 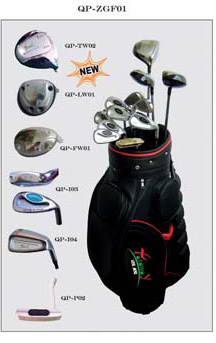 cart, practice products and golf gift and fittings. swing balancer, testing shaft torque machine, testing shaft flex sheet. We designed and constructed outdoor Green projects. We provide a full set service according to client's demand. Hoping we can enter into friend business relation ASAP.